Do you ever feel like the right song can speak for you? Or that the perfect lyrics, allow you to understand your feelings more clearly? I get like that sometimes, but not usually from songs from Broadway musicals. In college I was in a sorority. At the end of four years, as we were about to graduate, we had a tradition called senior songs. Each senior would choose a song that wrapped up what their time in Tri Delta meant to them. Then the rest of the chapter would guess who’s song was who’s. It was never hard to guess because usually the girl who’s song it was, was elegantly shedding a single tear or, if they were like me, sobbing like a baby. These were the words that so perfectly described those four years for me. 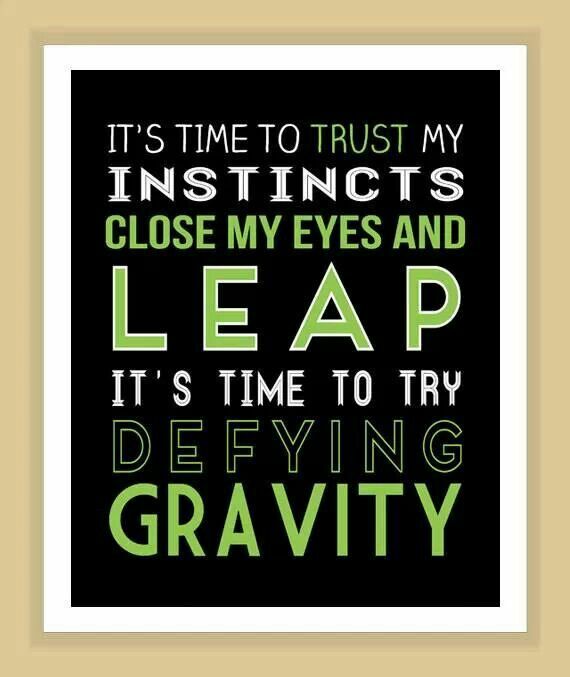 Wicked, still one of my favorite plays, gave me the words I couldn’t give myself. Today I was running. Running with a strange sense of determination. Something within me has been different lately. 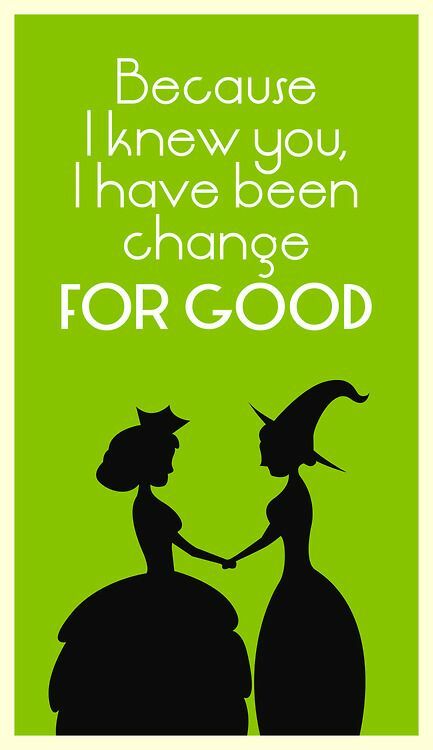 And once again Wicked gave me the words I needed. I know I am not green or a witch, but for whatever reason my stride got a little faster while I was defying my own gravity. Defying the invisible (but in many ways visible) weight that has held me back from reaching my health and fitness goals. Defying that voice in my head that has so many times before told me I couldn’t do it, or I wasn’t good enough. My stride got faster, a smile spread across my face and if I hadn’t been surrounded by handsome gym goers, I probably would have broken out into song with Idena Menzel.